When it comes to car camping there are all sorts of lists mentioning the top things new people shouldn’t forget. But what about those of us who already know not to forget their pillow or to pack a tarp in case it rains? That who this list is for. It contains (in no particular order) 5 things that I pack in my car camping kit that make life easier. What makes Ikea bags so great is how sturdy they are coupled with the fact that they don’t absorb water and can quickly be cleaned out with a shake. 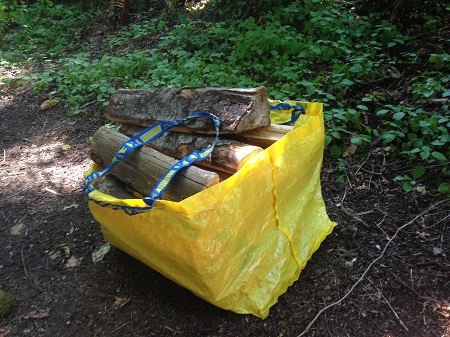 #1: Ikea bags – These bags, if you are unfamiliar, are made out of the same material that a tarp is constructed from. They are very sturdy and have two great, solidly attached, handles. I use them for hauling firewood. Other people I know who have kids use them to hold all their sandy/muddy toys when going to and from the beach. Think your action packer tote is where its at? Lets see how that competes with my wheels. #2: Gear totes with WHEELS – If you didn’t get it from the all caps, wheels are key here. I know everyone loves their Action Packer totes because they can literally withstand a bomb blast but man are they heavy once loaded up with all your gear. 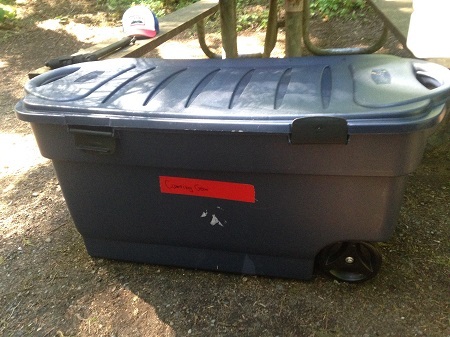 While this tub might not withstand the apocalypse I can easily wheel it from the car down the path to my campsite. Every dog needs a place to hang up their leash and rest their head. #3: A home for your dog – Dogs need to be able to kick it and relax alongside you without getting into trouble and causing you stress. 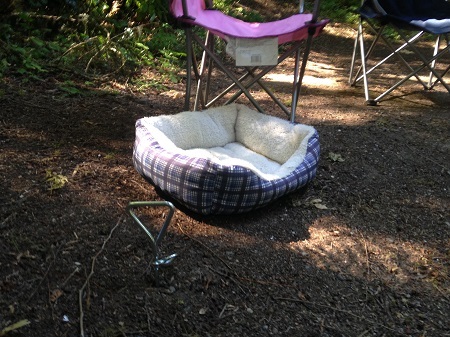 This means two things: The first is a bed they can relax in and the second is a way to secure them to your campsite. For the second option I really like the metal, screw-in, dog stakes. They allow you to secure your dog in a location of your choosing so their leash isn’t underfoot the whole time (like when you leash them up to your picnic table). The bed is really nice for both in the tent and by the fire at night. 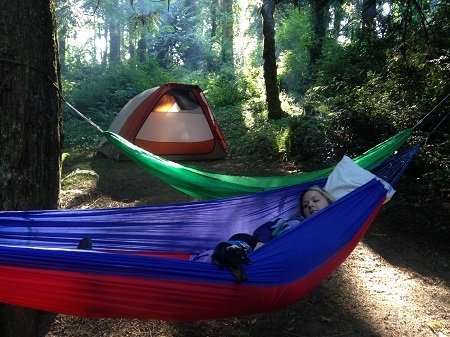 You don’t want that muddy dog on your lap or in your sleeping bag. There were only two of us on this trip so we could get by with a small thermos. #4: A thermos – When you are camping with a group everyone wakes up at different times. I’m normally an earlier riser and as the first one up its my duty to make coffee. Filling up a thermos allows those who wake up later to still enjoy a hot cup of coffee without needing to fire the stove back up. If you want to use that bbq grate without cleaning it be my guest just let me know how the previous campers dinner tasted. 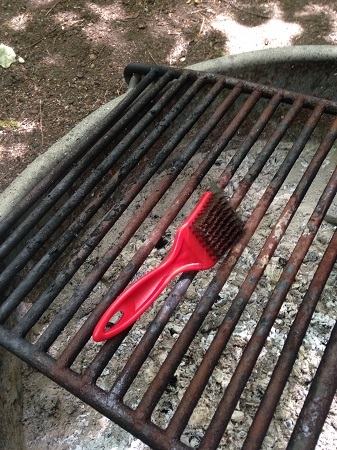 #5: A grill brush – Most campsites these days have a firepit with an attached bbq grate. I’m a huge proponent of cooking on the campfire but that bbq grate always grosses me out. I like to let the fire burn hot to cleanse the grate of anything nasty and then scrape it clean with the grill brush. This might sound paranoid but rats/mice/squirrels/raccoons/possums sneak out at night to eat the stuck on leftovers from your hamburgers and end up defecating on the grate. 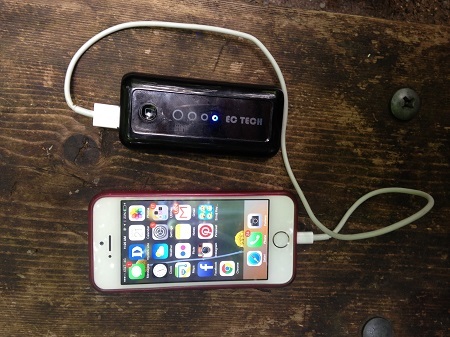 Bonus: A phone charger – Yeah you are supposed to disconnect while outdoors but I’m still guilty of using mine while car camping. Rather than run down your car’s battery to charge your phone bring one of these along, they only cost $10. 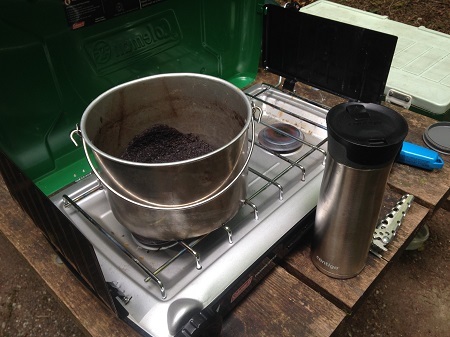 This entry was posted in Activities, Articles, Gear, Camp Kitchen, Activities, Car Camping, Gear, Camp Kitchen, Cups and Mugs, Gear.